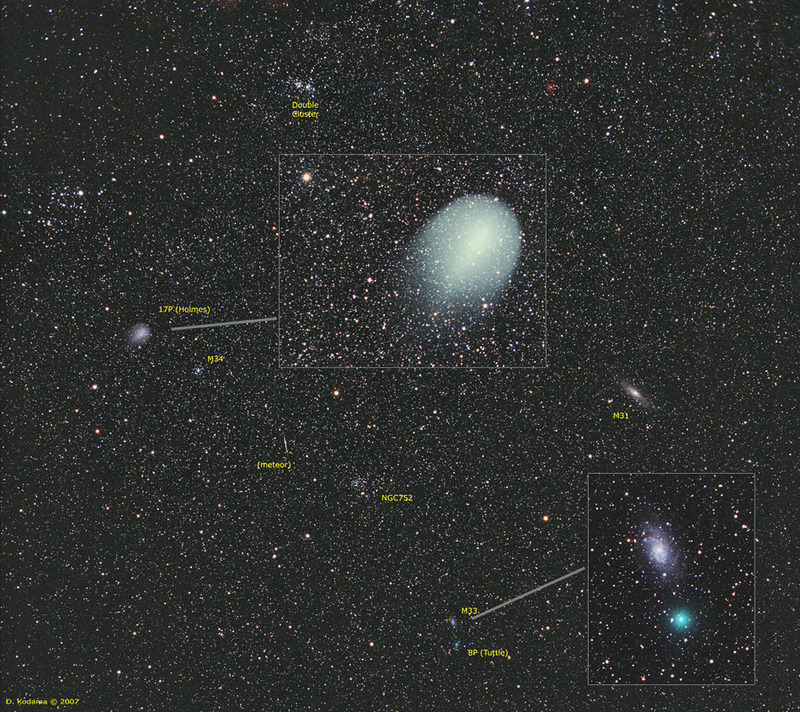 Over two months after its outburst, Comet Holmes is still visible to the naked eye, slowly moving about the northern sky, slowly growing even larger, and also slowly fading. On the other hand, Comet Tuttle, another periodic comet, is rapidly brightening and speeding by, spending only a few days in this part of the sky. If you have a fast data link, 2x higher resolution views are available for browsing without the insets, or with inset views.